Day 74 of SP… recovered today but today’s shot came late in the day.. but I will still tag it as the SP photo. 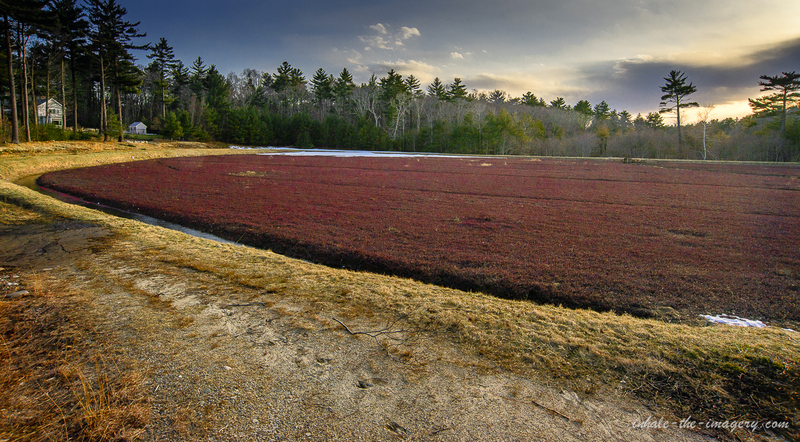 On the way to dinner I decided to take a picture of one of the local cranberry bogs surrounding and in Scituate. Part of New England these bogs are… Not sure when the fruit is picked but it must be soon for the “Come pick fresh cranberries” signs are popping up at the local Cranberry farms. Facing west, towards the sunset.